Now that Android 8.0 Oreo is out of beta and making its way onto devices in earnest, the Wear team is taking a turn with its own preliminary firmware update. Starting today, Google's Beta Program page is now distributing an early version of the next release of Android Wear. However, if you were looking forward to a lot of new features, you might be disappointed to hear that this is being referred to as a "technical upgrade to API 26" – mostly an update to the underlying infrastructure. On top of that, only one watch qualifies for betas at this time: The LG Watch Sport. A new update to Google Maps began rolling out late last night to members of the beta channel. This one is arguably light on notable changes, except that there is one feature that may go live in the next few days: Commuting. It was at least briefly live before being disabled remotely. There are also several new topics for a teardown, including more points for longer reviews, new badges, and more. At least as of October 9th, the Commute settings appear to be live again. Google Maps is one of the most feature-packed apps in existence, and fitting everything into easily reachable places is a challenge that requires regular changes. The latest update to v9.62 makes a big move by pulling the layer modes out of the navigation drawer to place them in a new persistent FAB (floating action button) right on top of the map. Amonth many other things, this update also adds a dedicated tab for videos uploaded by the community. On the teardown side, there are signs of some more significant improvements coming for commuters, and much more. Notification channels are one of the key user-facing features added with Android Oreo, and almost all of Google's major apps were ready for launch day with their own set of custom channels. A few notable stragglers like Inbox and Hangouts remain, but today's update to the Google+ app means it cannot be counted among them. Unfortunately, the custom channels added in this update are almost certainly not what G+ users were hoping to see. While Allo's new web client scored most of the headlines this week, its sister app Duo wasn't to be left out in the cold. A new update to the video chat app is out with a few changes of its own. Notifications are a significant part of this release with a new toggle in settings for all users and full support for Notification Channels on Android O. And for some users, there are a few tweaks to the UI of the Audio/Video selector and contact list. A new update to Google Maps is rolling out to the beta channel members right now, and like so many previous releases, there are a few new features to check out. First, the Q&A feature from the last teardown of Maps is live. Drivers will soon be able to see a monthly report of their behavior right inside the app. If you're running an Android O developer preview, the first thing you can look forward to is the addition of Picture-in-Picture support. Also for Android O are a pair of new notification channels to get better control over navigation-specific information. A new version of the Google Play Store began rolling out earlier today with few, if any noticeable changes. However, if you're running the Android O previews on any devices, there will be one change to look forward to: Notification Channels. The latest version brings five distinct channels for customization, including: Security and Maintenance, Updated Apps, App Updates Available, Account Alerts, and High Priority. Now we can make a few more decisions about which notifications we want to see and if they matter more or less than the developers thought they should. 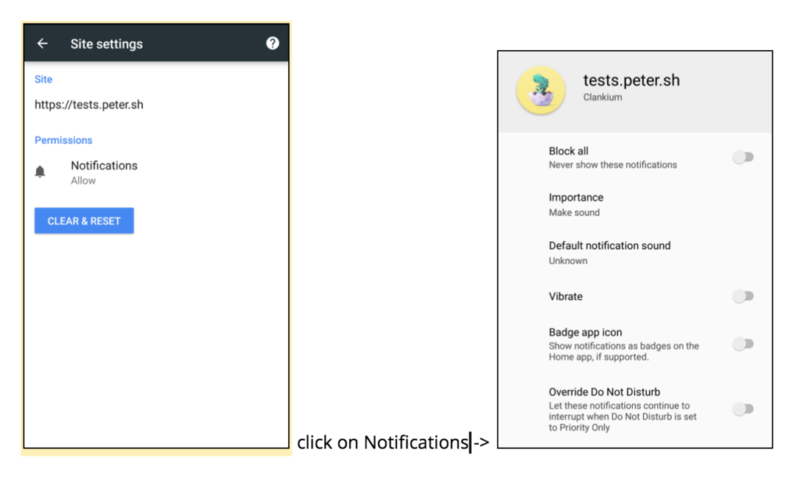 While this isn't live now in any version of Chrome from stable to Canary, work is underway to improve the way notifications through the app that originate from websites are handled on Android O by giving them individual channels. Currently, with all Chrome versions (59 stable to 62 Canary), the app offers 5 different notification channels: Browser, Downloads, Incognito, Media, and Sites. These let you assign different importance levels and choose how each type of notification is handled by the system. But the "Sites" channel treats all websites equally, so you can't give a low importance to facebook.com and a high importance to some other site, or vice versa. Yesterday's update to Allo came with announcements that it now supports reactions (basically "likes") and that the doomed blobmoji are to be kept on life support in the form of a sticker pack. As meager an update as it might seem at first glance, it turns out that there are several other new features in this release. On top of that, a teardown shows quite a bit is in the works. A new version of Google Play Books is rolling out today and it brings some good changes to both the app and its notifications. The big change in this release is an overhaul of the Library page, where several tabs have been removed and a new "Shelves" tab has been added. Users experimenting with Android O can also take advantage of some newly added notification channels. As usual, there's a download link at the bottom if you want to jump the line and get the latest release a bit early.